The Phenom desktop SEM system, with the 3D Roughness Reconstruction application, can produce 3D images and submicrometer roughness measurements. This fully automated application for desktop SEMs helps in communicating imaging results and allows users to collect and visualize data usually hidden within a sample. 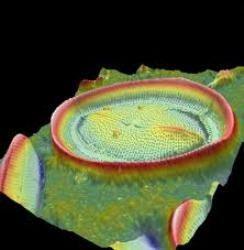 3D imaging helps in interpreting sample characteristics and makes images comprehensible for a large group of users. By using SEM imaging for data collection, improved resolution can be obtained than by using conventional techniques.